We are engaged in offering Promotional & Advertising Hut Canopy, which are mainly used in various exhibitions, trade fairs, Seminars and other such events. Designer hut canopy is made-up of superior quality fabrics, and is offered in various textures and patterns. This canopy is available with in different shapes and sizes and can withstand in heavy winds and waterproof. 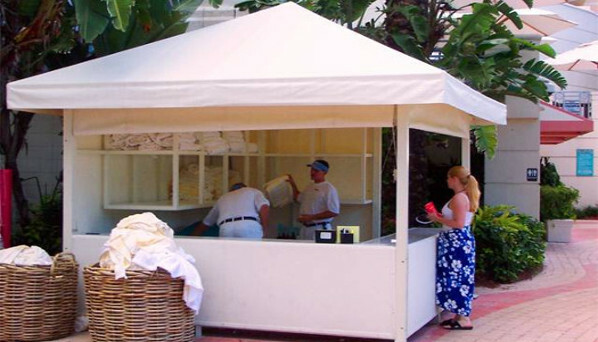 Hut canopy designed as per the defined industry norms and standards and can be purchased at market leading prices. Our customers widely appreciate with hut designs.